With the exception of a few on this planet who could spin hay into gold and turn water into wine, we are only as good as the tools we have. In fact, it’s like that for everything. With videography and photography it’s no different. A great quality camera is an essential tool to have in order to create quality images. 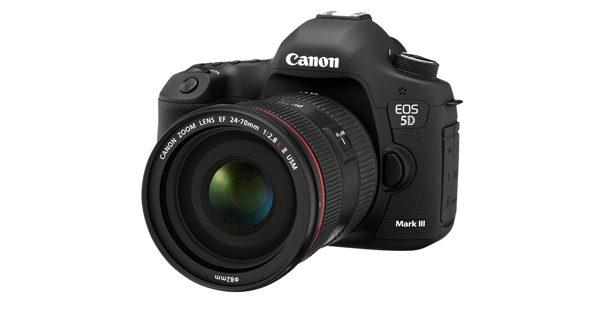 The next tool soon to be in our hands is the Canon EOS 5D Mark III Digital SLR Camera. There are all sorts of gidgets and gadgets, I’m at risk of drooling. I can’t wait to get this camera in my hands and start shooting. Posted on July 2, 2012, in Multimedia & Designs, Music Videos, Projects, What's New and tagged 5d mk3, canon, Canon EOS 5D Mark III Digital SLR Camera, new camera, new equipment, slr, tmd, triple m designz. Bookmark the permalink. Leave a comment.